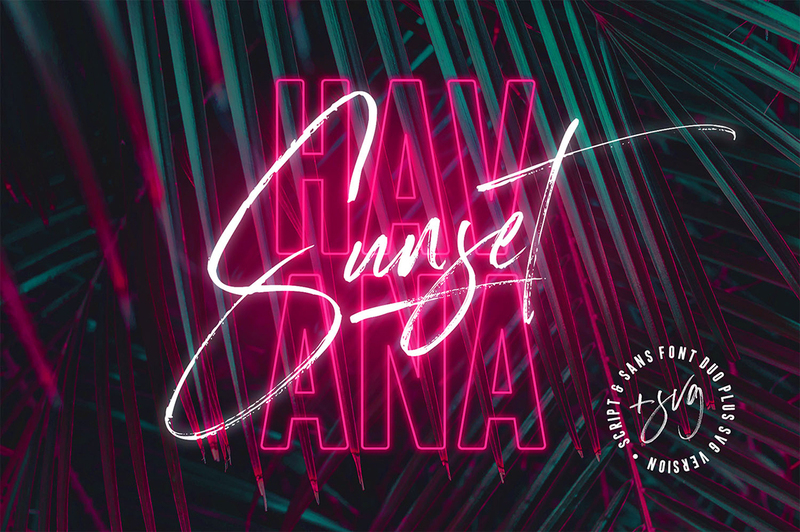 Let your hair down and enjoy the ride with Havana Sunset! 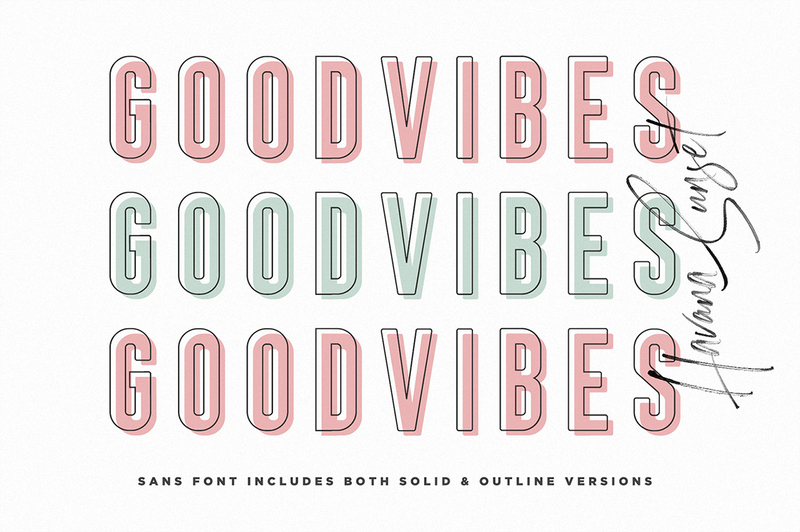 Analogue meets digital in this font duo, pairing a care-free & textured script font with a trendy all-caps sans-serif – creating the perfect typography contrast for fun, free & stylish design projects. 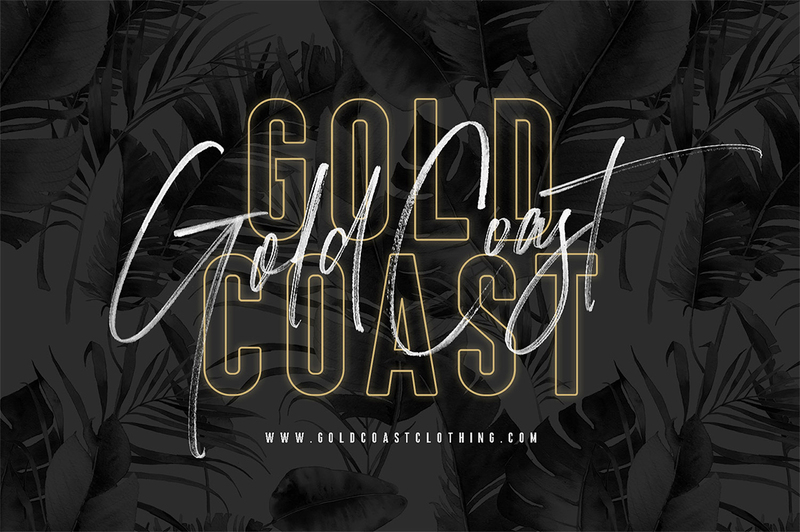 A free-flowing, textured script font. Use this version if you need the font in a traditional vector format, but still maintaining an authentic rough paintbrushed finish to its edges. 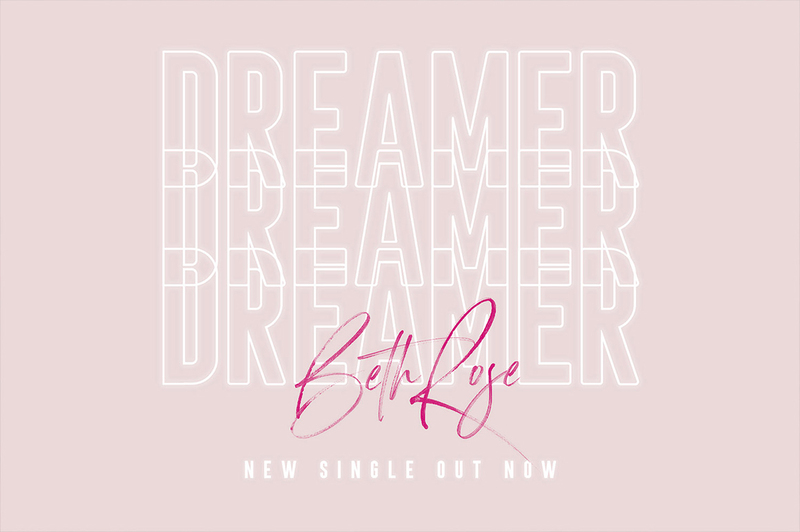 Use this version of the script font to re-create stunning hand-lettering with high-definition brush textures, completely built in to the font as a transparency. Requires Photoshop CC 2017 or Illustrator CC 2018 (or newer) to use. 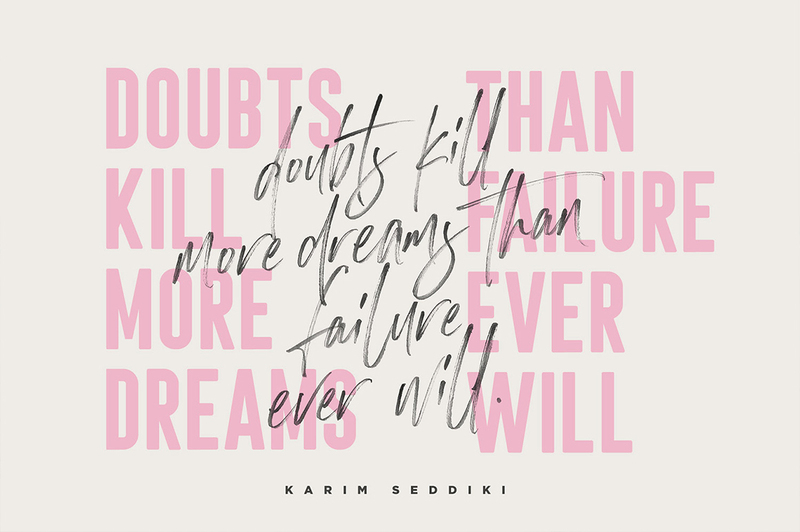 A tall, bold, condensed sans font with a big impact. Contains upper-case only characters and a solid body. 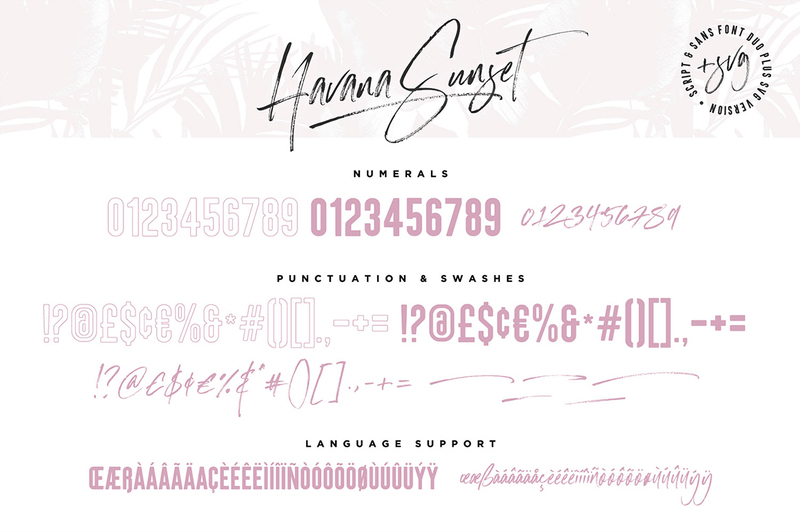 An outlined version of the Havana Sunset Sans font with a hollow body, giving you an additional layout option. 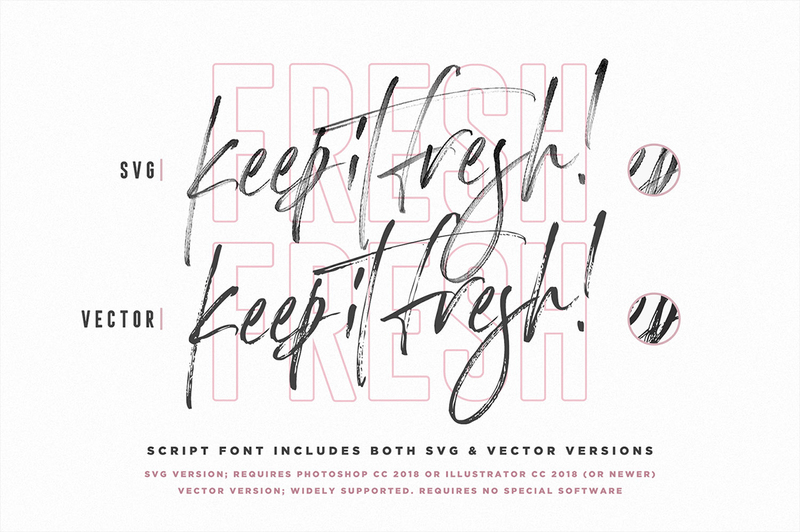 If you’re unable to access the SVG font, but would still like the high definition characters, I’ve included the full SVG glyph set as separate images in a layered Photoshop file, which you can simply copy and paste into your document. 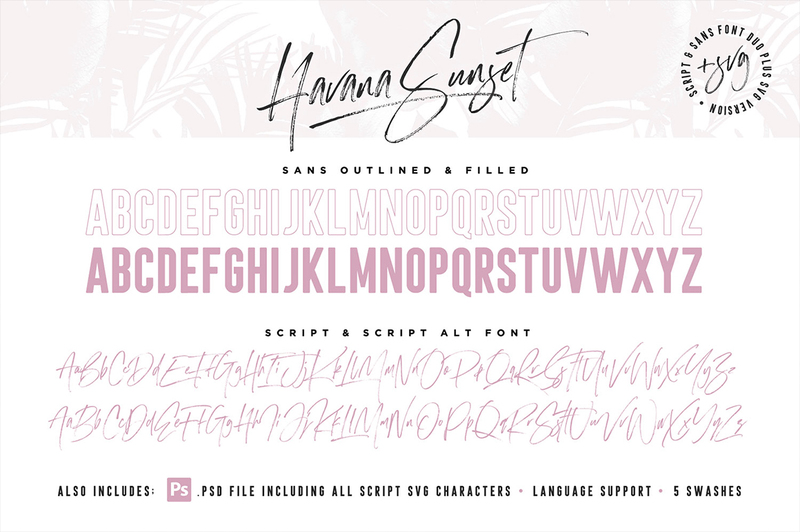 Havana Sunset Script & Havana Sunset Script SVG both include an ‘Alt’ version, this has replaced all of the script characters with a completely new set. If you wanted to avoid letters looking the same each time to recreate custom lettering, or try a different word shape, simply switch to the ‘Alt’ fonts for an additional layout option. 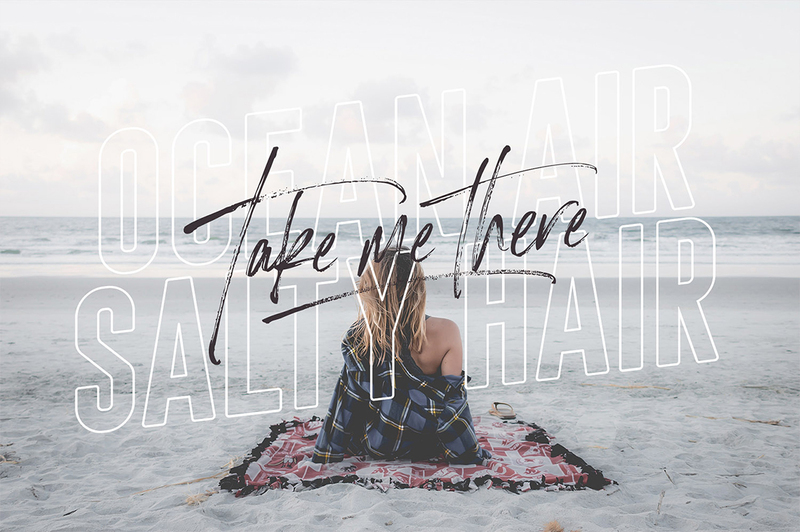 Havana Sunset Script fonts include 5 swashes; use these to underline your script text and add a stylish finishing touch. Swashes are not assigned to any character and need to be accessed through a Glyphs panel. SVG Swashes are only accessible through the .PSD file included.